Lately, I have been pretty obsessed with fringe. The movement of the outfit, the whimsical fun, how it can remind me of the 1920s in an instant and then take me right to present day music festivals… to me it’s such a diverse trend. I own a pair of fringe booties that I love but I have yet to incorporate fringe into my wardrobe. My wardrobe is pretty streamlined. I know what I like and don’t spend much time on “of the moment” pieces. But… I just can’t get fringe out my mind! So, I started my search at H&M since I knew I wanted cute and affordable items. What I discovered are two dresses and a sweater I adore and the cutest shoes that are a total dupe of my Sam Edelman “Louie” boots! Fringed Knit Dress. This dress could not be more perfect. It has the cutest fringe detailing but isn’t too “in your face”. Perfect for my comfort zone and every day wear. Dark Green dress with Fringe. A little thing about me: I am obsessed with this color. I think it is so unbelievably beautiful and whenever I see it on an item of clothing in this color… I immediately gravitate toward the piece! This dress is not only gorgeous but super fun. 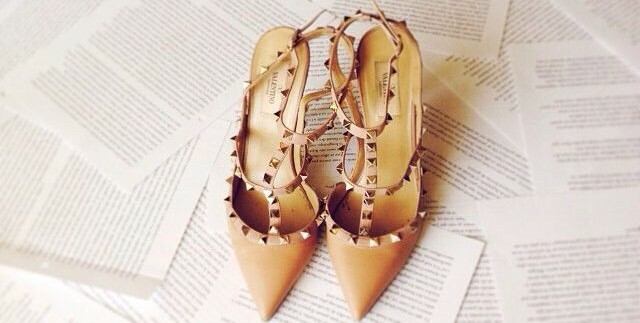 Perfect for a night out with the girls. Sweater with Fringe (on sale!) I have a serious obsession with sweaters. Like the first dress above, this is the perfect way for me to start to dipping my toes into the fringe-y waters. Subtle but cute and very easy to wear! 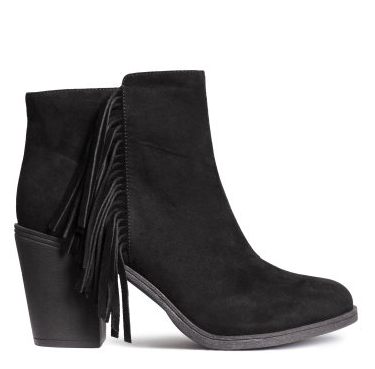 Finally, these fringed ankle boots from H&M are a perfect dupe for my favorite Sam Edelman “Louie” boots! It took me a legit year to pull the plunge on them (because I kept thinking… will I still like fringe?!) but when I couldn’t get them out of my head I bit the bullet. I’m so glad I did because I wear them all the time and receive the most compliments on them! These boots from H&M are the “Louie’s” twin! If you’ve been thinking about the “Louie” I would 100% suggest purchasing these H&M boots! This entry was posted in Affordable Fashion and tagged affordable, affordable fashion, booties, boots, fashion, forever 21, fringe, h&m, louie boots, nordstrom, sam edelman, trends. Bookmark the permalink.